Woohoo, just when I thought that dog walking in the mud had become the ‘new black’ and an unavoidable pastime in my day to day routine.. we recently had a springlike day of sunshine. 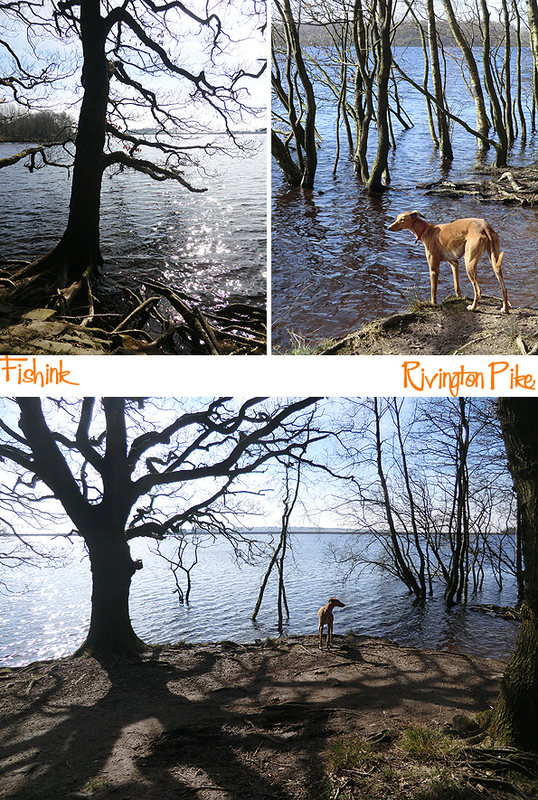 Taking the opportunity to head over to a place called Rivington Pike near to Horwich in Lancashire. 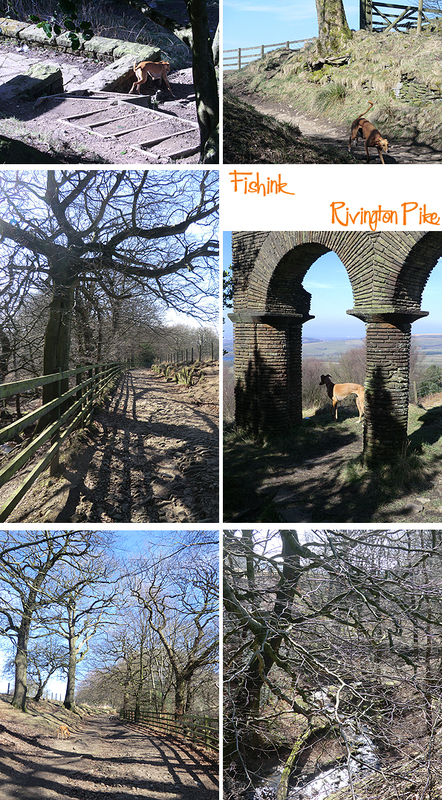 Rivington Pike a hill summit on Winter Hill, part of the West Pennine Moors, overlooking the village of Rivington in Lancashire, England. The Pike is a prominent local landmark which derives its name from the Old English hreof plus ing meaning the rough or rugged hill and pic, a pointed eminence. The hill was recorded as Rovyng in 1325 and Rivenpike in about 1540. 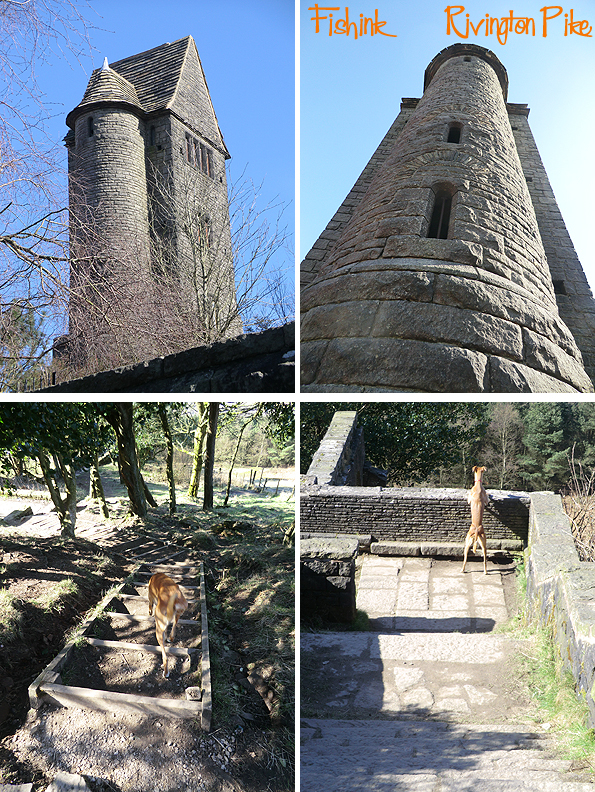 The dog (as ever) was keen to go explore! 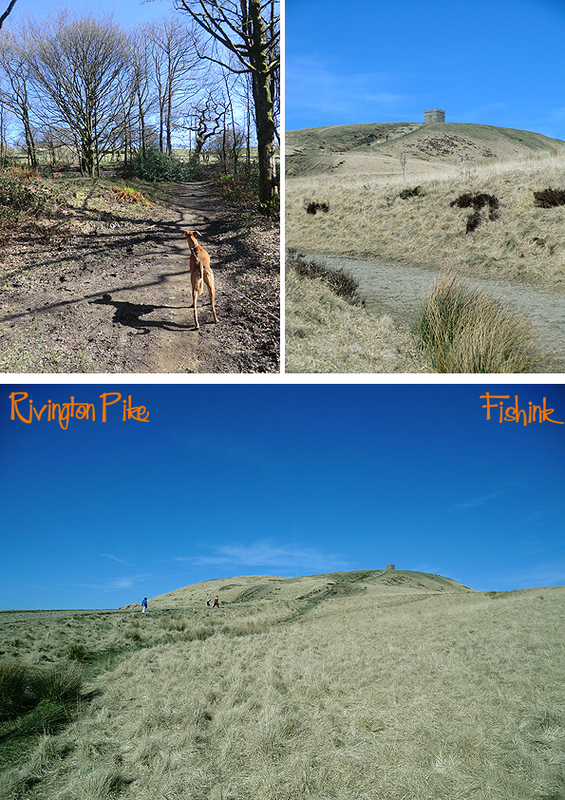 In 1904 author, Fergusson Irvine described the Pike as “the curious hog-backed mound which crowns the summit of the hill and on which stands the Beacon, shows signs of having been at least shaped by artificial means. No doubt it is mainly a natural feature, but there are distinct traces of its having been trimmed and the approach steepened at several points”. 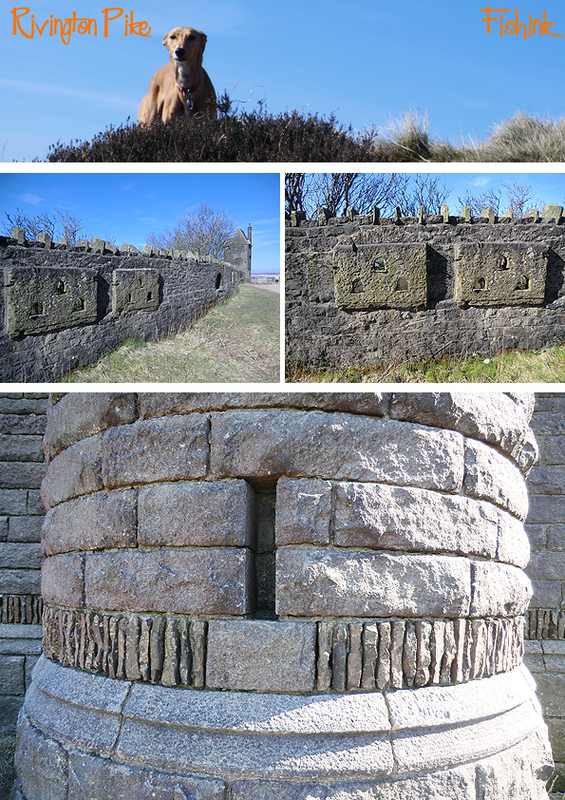 The prominent summit of Rivington Pike was the site of one of a series of beacons spanning England as an early warning system. The beacon system was put in place by the 4th Earl of Chester around 1139, following a Scottish raid in 1138. The beacon was lit on 19 July 1588 to signal the Spanish Armada was heading towards English shores. Beacons were lit near to the tower for the coronation of King George V in 1910, at the end of the Great War in 1918 and in 1977 and 2012 to celebrate the Silver and Diamond Jubilees of Queen Elizabeth II. Some curious cut-out features can be seen in the walls, for doves perhaps ? 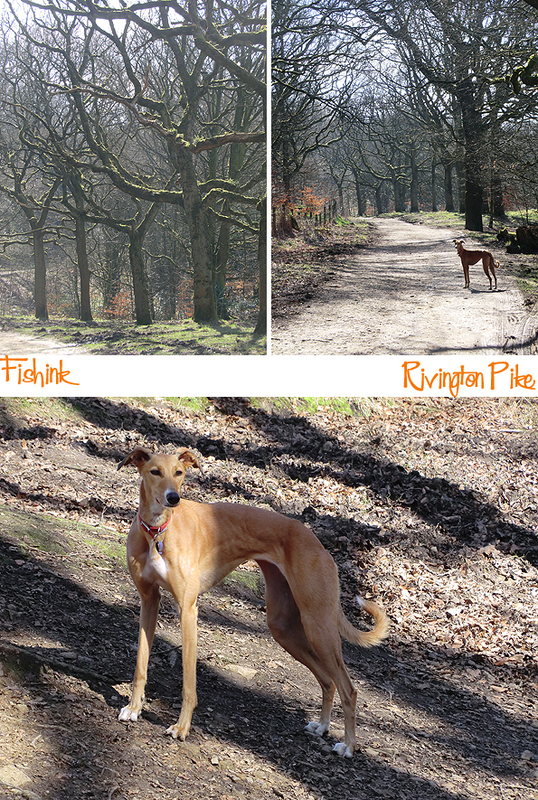 My dog loves to explore and is often running ahead to see what is just around the corner, or over the next wall. Beautiful woodland and sunshine, certainly made this trip a memorable one. Much more to discover here for another time. Well worth a trip if you’re in the area.